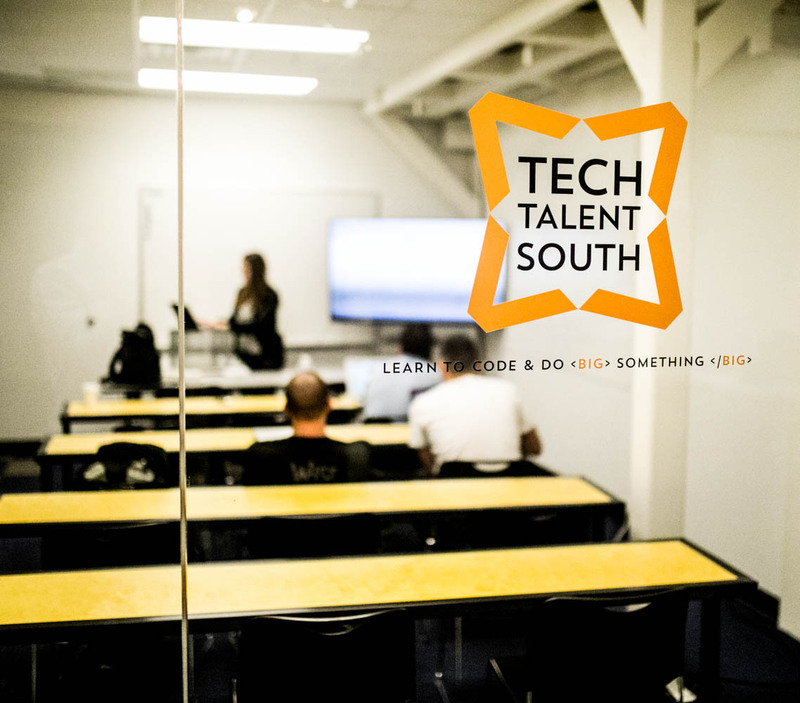 See if you qualify to take a free course through a Tech Talent South Corporate Partner! Welcome to the new age of hiring. 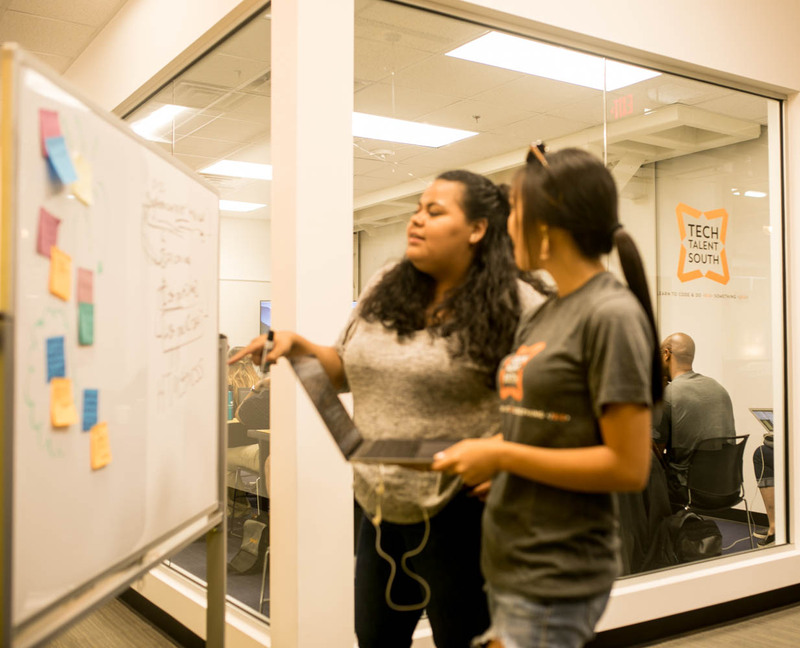 We've teamed up with some of the best in tech (think: Fortune 250 companies) who are looking to level up and diversify their technical teams and are offering free courses to those who qualify. And you don't need a background in tech to apply. Here's looking at you French Lit and Poli-Sci majors. The next free class kicks off in just a couple of weeks. Want to learn more? We have limited spots in our online info session at noon on 11/12, so reserve your spot now! Don't need an info session to tell you that this opportunity is for you? Alrighty then! Go ahead and apply here! Reserve your spot in the info session. You can now get your tech education for free, and it might just land you in a job. Think of it like a multi-week job interview, where you get to learn the whole time, for opportunities ranging from developer and software tester to product manager, UX designer, and DevOps engineer. The list goes on, but the wait doesn't have to. Apply now to start the process. Apply by Nov. 13th to be considered for the next course. Our next course will start in a couple of weeks. Get your application in today for this highly competitive course! Some working knowledge of web application frameworks. If you know a little bit about HTML, CSS, and Ruby - you are ready! Advanced Java, Spring Boot, Node, Mongo DB, Angular, Meanstack, Powershell, Groovy, Jenkins, AWS, Terraform, Docker, Azure, and soft skills. READY TO SEE IF YOU QUALIFY?